Dr. Yeoh Kar Kheng obtained his doctorate degree in Organic Chemistry from University of Oxford, UK. He joined the School of Chemical Sciences, Universiti Sains Malaysia (USM) as a Senior Lecturer in 2012. He is a SIY Certified Teacher trained by Search Inside Yourself Leadership Institute, USA (https://siyli.org/). SIY is a scientific based mindfulness and emotional intelligence curriculum that was developed and tested at Google. He completed a Mindfulness Based Cognitive Therapy (MBCT) training at Oxford Mindfulness Center and has over 15 years of experience in practicing and teaching Mindfulness. In addition, he is also a HRDF Certified Trainer. Dr Yeoh is the founder and project leader of Mindful@Sejahtera – A Mindfulness-based Emotional Intelligence and Wellness Program for promoting good mental health in his university and the local community. He is also the founder of Mindfulness for Everyone Program at D’Home Mental Health Association. In Malaysia, he is one of the pioneers in introducing mindfulness training into corporate organizations (INTEL, DELL, JABIL, INFINEON, ViTrox etc), universities, and hospitals. He is the founder and chairman of Malaysia Mindfulness Association and has frequently been featured in local mass media. 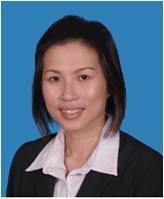 Dr. Lee Hooi Ling is a Senior Lecturer in the School of Chemical Sciences, Universiti Sains Malaysia (USM) since 2012. She obtained her PhD (Surface Science) degree from Dublin City University (DCU), Republic of Ireland. She is a yoga practitioner for more than ten years. She has conducted yoga classes for corporate and charity organizations. She is a founding member and senior instructor (Breath and Bodywork) for the Mindful@Sejahtera and Mindfulness for Everyone. In these programs, she will be leading simple Mindfulness stretching and Progressive Muscle Relaxation (PMR) exercises. I was referred to you by Dr.Phang regarding to mindful-gym. I would like to know whether do you organize mindful-gym in Penang in the near future? Sorry for the late reply. I have just noticed your message here. Please email me at kkyeoh@usm.my in future. I will be giving a public talk at Penang Medical College on 14th March at 2.30pm-4.30pm. Please get more details from “Upcoming events”.